After the original Rampur 43%, we were primed for something different… We sampled blind from a freshly opened bottle, having no clue what we were sipping. As we sipped and discussed, we appreciated how it retains its aromas, a nice pleasant finish with many enjoying the finish more than the initial taste on the palate, but in all not a terribly complex whisky. As for age, it was hard to judge but seemed in the NAS category. In short, we found it a decent dram, enjoyable in its way but somehow quite ordinary. With the reveal some surprise – none would have thought the whisky had matured for 12 years. 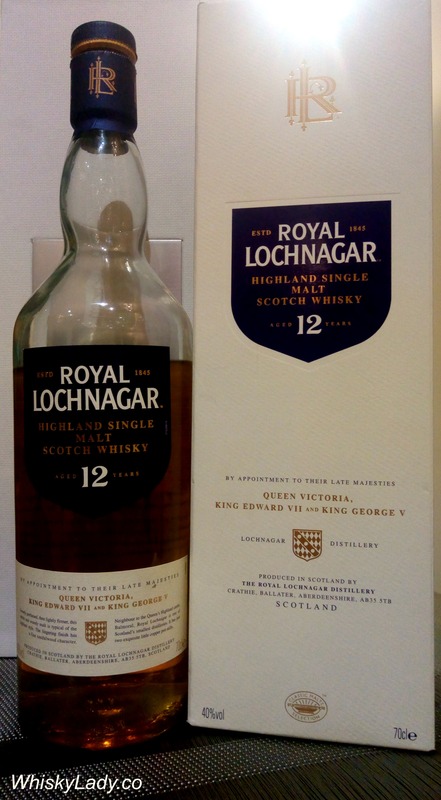 Royal Lochnagar is located near Balmoral Castle and has been producing whisky since 1845. Once upon a time, you would not find an official bottling easily however with Diageo’s “Classic Malts Selection“, it joins the ranks of travel retail popping up all over the globe. Nose – Planed wood, light toffee, boat varnish. After a while, coffee with brown sugar. A relatively closed nose. Linseed oil behind, even putty, and later a lychee-like acidity. With water the acidity comes up (acid drops), and the nose sweetens. Still a pleasant fresh woodiness or leatheriness, the varnish now supported by artists turpentine. Warm sand. After a while, coffee dregs with brown sugar. Not an obvious nose, however. Taste – Pleasant; an initial sweetness is quickly overtaken by acidity. Finish – Dry; medium-length, with an attractive lingering sandalwood aftertaste. Hmm… at least they haven’t over-inflated various elements and admit to the varnish, acidity, and yes – sandalwood isn’t a bad way of describing the finish. But overall… nothing to prompt rushing out to explore more from this distillery. Simply one to enjoy for what it is. This entry was posted in Highland, Scotland and tagged Royal Lochnagar by Carissa Hickling. Bookmark the permalink.